This article critically examines ‘cognitive load theory’ (CLT), its development and its ongoing impact on learning design. It traces the theory’s emergence in the eighties to its most recent formulations and impact on instructional design. To present an accurate picture of this, a mix of academic literature, white papers and e-learning industry magazines were reviewed. A list of these publications can be found in the bibliography. Cognitive load is a term used in cognitive psychology to describe the burden placed on the working memory by a task or information. The original notion was introduced by George Miller in his paper ‘The magical number seven, plus or minus two: some limits on our capacity for processing information’ (1956) in which he identified that our cognitive system is only able to process seven (plus or minus two) items before a decrease in retention is seen. The information that we have to process is therefore known as ‘cognitive load’. When there is too much information for us to process, this is described as ‘cognitive overload’. On the other hand, when there’s not enough information for us to process, this is known as ‘cognitive underload’—something that has not been explored in detail outside an academic sphere. 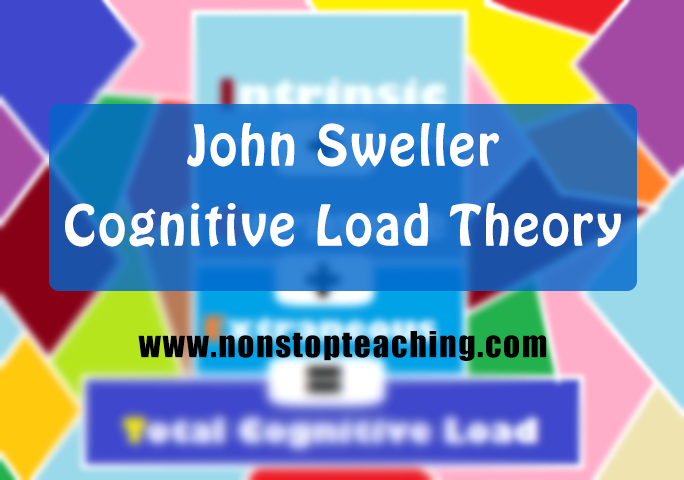 Cognitive load theory was first formulated in the 1980s by John Sweller, an educational psychologist who was seeking to identify more effective ways to teach mathematics and science—particularly complex problems. Through empirical studies that tested information processing, Sweller identified a set of principles relating to the effects of cognitive overload on knowledge acquisition and application. These principles were the basis from which CLT was developed. Sweller studied the effects of cognitive load – defined as a demand on working memory, either through storage or processing – during problem solving and later specified ‘a set of propositions that are intended to constitute the elements of a cognitive technology of instruction in mathematics and science’ (Sweller, 1989). By the early 1990s he had formalised these propositions as ‘cognitive load theory’ (CLT). CLT is a cognitive and evidence-based information processing theory that ‘predicts that overload (and lack of learning) occurs when the total amount of load induced by the learning environment exceeds the maximum cognitive capacity of the learner’ (Moreno, 2010, p137). It is recognised as having a significant influence on instructional design theory and practice. Richard E. Mayer, a widely recognised and respected cognitive psychologist and educational theorist, applied CLT particularly to the field of instructional design and technology enhanced learning (TEL) and through his research formulated the cognitive theory of multimedia learning (2005). Key assumptions CLT is founded on three key assumptions about human cognitive architecture: a limited processing capacity of working memory, a virtually unlimited capacity of long-term memory and a schema theory of mental representations of knowledge (Brünken, Plass and Leutner, 2003). • Schemas are mental constructs that enable people to understand and categorise information quickly, reducing working memory load. These assumptions are central to Sweller’s classification of a variety of types of cognitive load. In CLT’s initial formulation, Sweller identified two types of cognitive load: extraneous and intrinsic. In 1998, Sweller expanded cognitive load types through the addition of germane (or ‘relevant’) cognitive load. • Germane cognitive load is that which is used to construct schemas and is therefore essential to CLT In CLT, the three types of cognitive load are considered to be additive: for learning to occur successfully, intrinsic, extraneous and germane cognitive loads together must not exceed working memory processing capacity. CLT has been refined and expanded in the 25 years since its initial formulation. Rather than CLT providing principles for scientific and mathematical instruction, proponents now consider it a universal theory that applies to all content, delivery media and learners. To demonstrate the universality of CLT, Clark, Nguyen and Sweller (2006), present at least one example of an empirical study with positive conclusions. On further review, every study related to sciences, mathematics or complex processes. Many of the lessons examined were very short. These studies form the backbone of the evidence for their striking claims for the universality of CLT. A more minor criticism of CLT is that there is over-reliance on worked examples as a teaching method within CLT. Whilst there are many skills and subjects that can be taught through the use of worked examples (eg solving mathematical equations, structuring sentences, computer systems training or learning scientific models), there are others (such as soft skills, creative writing or musical composition) for which that teaching method would be of little use. Does it have a lasting effect? There has been a lack of research into the longer-term performance of those who have learnt using techniques intended to manage cognitive load. How meaningful the experimental data presented by proponents of CLT are is therefore in question, as these tests are invariably carried out immediately after the lesson and do not measure the long-term creation and acquisition of schemas. It may be that the principles of CLT are only effective for immediate tests of ‘crammed’ information; this would be an interesting avenue of enquiry. Can we really measure cognitive load? One of the significant criticisms of CLT is that researchers are unable to standardise a method of measurement for cognitive load. Two general approaches for assessing cognitive load are identified: subjective, eg through asking learners to rate their cognitive load on a Likert scale of between 7 and 9; and objective, eg through physiological measurements (Brünken et al., 2011). However, no method so far identified is without criticism and the lack of agreement over methods to measure cognitive load (or agreement that it is measurable at all) is a significant shortcoming. Despite its popularity amongst instructional designers working in the field of TEL, there is a lack of critical engagement with CLT from e-learning practitioners. In this section, we identify principles of CLT that have a bearing on instructional practice and should therefore be examined critically by practitioners. CLT is a theory of interest to instructional designers aiming to create effective training. Indeed, there is a variety of both academic papers and practitioner handbooks that address the impact of CLT on instructional design theories and practice. One of the fundamental shifts in the application of CLT to instructional design came because of the paper, When less is more: Meaningful learning from visual and verbal summaries of science textbook lessons (Mayer, Bove, Bryman, Mars & Tapangco, 1996). This study demonstrates that learners who have read a short, illustrated summary of a textbook passage can recall the information better than those who have read the passage without the illustrated summary. In fact, the results for those who read the passage together with the summary are the same as those who have seen only the illustrated summary. These findings were replicated in further studies and eventually led to Mayer’s formulation of the cognitive theory of multimedia learning (CTML). This theory is based on three principles: ‘the human information processing system includes dual channels for visual/pictorial and auditory/verbal processing (ie dual-channels assumption); each channel has limited capacity for processing (i.e. limited capacity assumption); and active learning entails carrying out a coordinated set of cognitive processes during learning (ie active processing assumption)’ (Mayer, 2005). Despite its traction, however, there is a lack of critical engagement with CLT within e-learning companies and related communities of practice. A search of e-learning articles and white papers showed many articles introducing the concepts of cognitive load and CLT, and yet very few articles critiqued or explored CLT in detail. This leads to principles of CLT with traction in e-learning communities being accepted uncritically, such as avoidance of extraneous load. Another CLT principle, the technique of ‘chunking’, is frequently cited within e-learning communities, despite no guidance on what a ‘manageable chunk’ looks like. Yet a critical examination of CLT could bear fruit for instructional designers and TEL practitioners. One key question that could be explored is whether intrinsic cognitive load can be changed by instructional treatments. Scholarly opinion is divided. While some, including Sweller himself, argue that it cannot be changed, others suggest ways in which instructional techniques can be used to manipulate intrinsic cognitive load by sequencing or focusing learners’ attention on ‘subsets of interactive elements’ (de Jong, 2011, p. 106). These are described as ‘techniques that may help to control intrinsic load’ by de Jong (2011, p106). Whilst these techniques do not claim to change or reduce the total intrinsic load of a lesson, they may prevent cognitive overload at any one point. They are therefore of interest to instructional designers and practitioners who seek to ensure that cognitive overload is not reached. As discussed in the critiques of CLT, there is no standardised method of measuring the effective level of cognitive load. However, a practitioner in a non-research capacity could use any of the appropriate measures (eg. by subjective surveying of learners) to identify trends across different lesson formats. Cognitive underload: what is it, and what can we do about it? Perhaps the element of CLT that has most wide-reaching implications for instructional design within e-learning is the phenomenon of expertise reversal – that is, creating learning that is targeted at learners with low understanding depresses learning for those with more expertise. As Paas, Renkl and Sweller note, ‘It is generally accepted that performance degrades at the cognitive load extremes of either excessively low load (underload) or excessively high load (overload)’ (2004, p.1). That means the effects of training materials that cause cognitive underload – ie materials that have a low difficulty for some or all learners – are identical to those that cause cognitive overload. This is of great significance to instructional designers creating multimedia training where learners have little or no contact with any instructors to vary the difficulty, volume or complexity of instructional materials. Corporate training is often mandatory for learners with a very wide range of abilities and experiences. Stakeholders often request primarily that the volume and difficulty of the material (ie the cognitive load) is at a low enough level to be accessible to all staff. There is generally little concern that this would degrade the performance of members of staff for whom this training would cause cognitive underload. By introducing this concept, instructional designers and e-learning developers could potentially improve learning outcomes. Mobile learning: is scrolling OK? Another key principle of CLT – the avoidance of split-attention effect (‘separate presentation of domain elements that require simultaneous processing’ (De Jong, 2010, p.108)) – is often used in e-learning to justify not including scrolling elements in e-learning, keeping all related content on one page or within one short section, and ensuring all multimedia presentations can be controlled by learners through pause and skip functionality. The thinking is to avoid spatially or temporally separated elements. This is an important principle to examine as e-learning developers move towards responsive frameworks (ie one e-learning program that can be accessed on multiple devices, frequently optimised for mobile browsing). Scrolling is at the heart of these designs (eg the open-source Adapt framework and Epic’s gomo learning authoring tool). Within communities of practice, instructional designers debate the effectiveness of mobile learning and frameworks that promote scrolling, yet cognitive load theory is rarely mentioned in these debates. Much could be gained, then, by engaging in critical review of CLT within the framework of practical instructional design work. It is also important to note that whilst working memory is essential to the success of a learning initiative, it is by no means the only factor. CLT should be considered alongside other theories of learning and instruction to ensure the best outcome for all learners in the longer term. We’ve seen that the studies that led to the development of cognitive load theory were involved only with the teaching of complex mathematical and scientific problems. In fact, Sweller’s early papers noted the use of CLT’s principles only for that type of instruction. However, over time CLT has been expanded into a universal theory, without significant further research, into its application to the teaching of non-scientific, mathematical or processdriven problems. Several questions arise. How does the theory apply to these other educational topics, and is there any need to consider it at all? Similarly, there is a lack of research into long-term knowledge and skill gains through the application of CLT principles. This leads to questioning CLT’s practical application when alternative techniques may provide a more measurable gain. Cognitive load theory has a strong and generally unchallenged influence and presence in the e-learning industry. Elements of professional practice (ie institutional principles often followed as part of an e-learning development team), as well as discussions within communities of practice, have been shaped by CLT. There is a broad base of literature that demonstrates the strong and lasting influence that CLT has on instructional designers and their communities of practice. Some related principles such as split-attention effect, dual modalities and chunking have gained traction within general e-learning practice, although they have not generally been critically examined by practitioners. Despite the prevalence of handbooks providing guidelines to instructional designers working in TEL, the guidance therein is not explicit enough to be of much use. For example, what does it mean to ‘chunk’ a course? What size should the chunks be, and how much is too much? As cognitive load is notoriously hard to measure and varies by learner, how can an instructional designer locate the ideal level of cognitive load? In environments where lessons are self-paced and self-directed – both qualities that ameliorate the effects of cognitive overload – it is not clear how useful the principles of CLT are. A review of industry magazines and white papers reveals that the importance of considering underload as well as overload has not been recognised within the e-learning community, even within more research-aware communities of practice. This is something that is worth exploring in greater detail within corporate e-learning design, where stakeholders often prefer all learners to follow the same journey (eg in mandatory financial compliance courses). Challenging this view and introducing the concept of cognitive underload may prove beneficial to a large number of learners – and, by association, to the organisation by which they are employed. Brünken, R., Plass, J. L., & Leutner, D. (2003). “Direct measurement of cognitive load in multimedia learning.” Educational Psychologist, 38(1), 53-61. Chandler, P., & Sweller, J. (1991). “Cognitive load theory and the format of instruction.” Cognition and instruction, 8(4), 293-332. Clark, R. C., & Mayer, R. E. (2003). E-learning and the science of instruction: Proven guidelines for consumers and designers of multimedia learning. San Francisco, CA: Pfeiffer. Clark, R. C., Nguyen, F., & Sweller, J. (2006). Efficiency in learning: Evidence-based guidelines to manage cognitive load. San Francisco, CA: Pfeiffer.